Quadratic equation is the second-degree equation in which one variable contains the variable with an exponent of 2. But, here we discussed the first three methods of solving the quadratic equations. However, solution of quadratic equation by factorization and use of quadratic formula are particularly significant. The procedure of solving any Quadratic Equation by factorization is same as used in above example that if we find 0 as the product of two numbers then at least one of the numbers must be 0. In Factorization, first we learn, how to factorize monic quadratic equation then we learn how to factorize a non-monic quadratic equation. A non-monic quadratic equation is an equation of the form x2 + bx + c. we always try to find out two numbers whose sum is ‘b’ and whose product is ‘c’. Now we apply this method to solve some monic quadratic equations. A non-monic quadratic equation is an equation of the form ax2 + bx + c. we utilize the same method to solve a non-monic quadratic equation. Now we apply this method to solve few non-monic quadratic equations. Now we are familiar with quadratic equations having one or two solutions that were rational but there are several quadratic questions that have irrational solutions or in few cases, no real solutions. 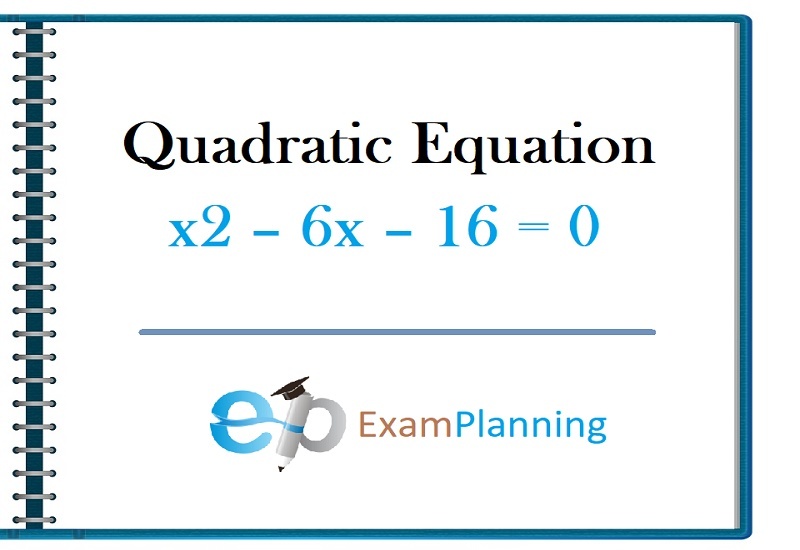 Therefore, in order to handle the more general quadratic questions, we employ a most commonly method of solution, which is known as completing the square. This method can also be utilized for finding the radius and centre of a circle, minimum or maximum of a quadratic function, putting integrals into typical form in Calculus, etc. Now, we apply this formula to solve few quadratic equations.